Following revascularisation the majority of patients obtain symptom relief and improved quality of life. However, myocardial ischaemia may recur or persist in a significant patient subset. Symptom recurrence is usually attributed to inaccurate evaluation of epicardial stenosis, incomplete revascularisation or stent failure and disease progression. However, technological advances with modern imaging and/or physiological evaluation of epicardial plaques have not solved this issue. Conversely, recent clinical studies have shown that abnormal coronary vasomotion and increased myocardial resistance are frequent determinants of post-percutaneous coronary intervention (PCI) myocardial ischaemia. 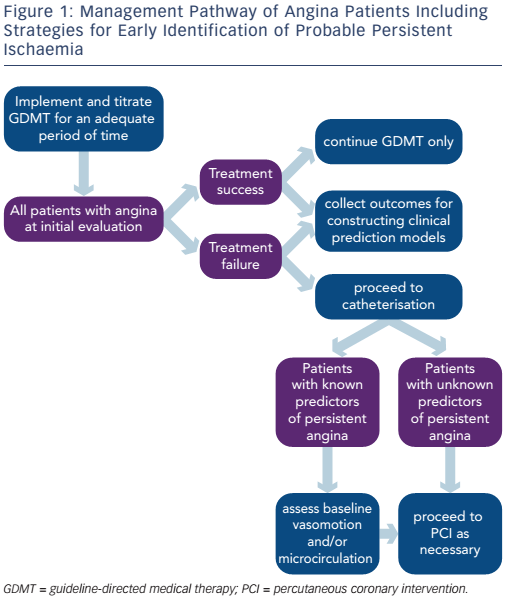 Strategies to enhance prediction of post-PCI angina include proper selection of patients undergoing revascularisation, construction of clinical prediction models, and further invasive evaluation at the time of coronary angiography in those with high likelihood. Myocardial revascularisation in patients with stable chronic angina is performed with the aim of reducing cardiovascular death, reducing myocardial infarction (MI) and relieving angina symptoms. However, contrary to expectations, modern therapy with percutaneous coronary intervention (PCI) has not had a significant impact on hard outcomes.1–5 Indeed, as also summarised in a recently published meta-analysis,6 PCI in stable angina patients does not reduce cardiovascular death or MI. Therefore, symptom relief remains the final rationale for suggesting our chronic angina patients undergo PCI. Major international guidelines for the management of chronic stable angina recommend a revascularisation procedure in patients with obstructive coronary artery disease (CAD), high risk features at noninvasive evaluation, and lack of symptom control under maximally tolerated medical therapy.7,8 Following revascularisation the majority of patients obtain symptom relief and improved quality of life. 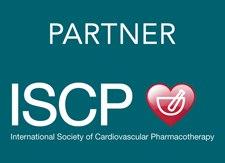 Nonetheless, angina symptoms and/or ischaemia may recur or persist in a significant patient subset.9,10 The reported rate for post-PCI angina and/or ischaemia is variable, and ranges from 15 % to more than 50 %.2–4,11–15 These findings have also been confirmed in more recently published studies that adopted modern therapeutic strategies (see Table 1).5,16,17 Besides reduced quality of life, symptom and/or ischaemia recurrence is associated with adverse cardiovascular events and increased healthcare costs.18,19 Therefore, identification and treatment of this patient population is warranted. In this paper, we discuss potential pathophysiological mechanisms underlying post-PCI myocardial ischaemia and propose strategies to enhance their identification prior to the revascularisation procedure. In order to control for all these confounding factors, we conducted an observational study on a highly selected, chronic angina patient population, undergoing complete PCI.17 Patients with valvular dysfunction, primary cardiomyopathy, or other conditions known to interfere with electrocardiographic interpretation, were excluded. We adopted an identical and serially repeated clinical evaluation with exercise stress testing and quality of life questionnaire at baseline and at early (1 month), medium (6 months) and long-term (12 months) time points after index PCI, thereby increasing the probability of obtaining highly reproducible and reliable stress test outcomes. Yet, of the 198 patients enrolled in the study, about one-third suffered angina with impaired quality of life and had a positive result at control followup visits with stress testing. In another study, Ong and colleagues sought to determine the rate of abnormal coronary vasomotion to intracoronary acetylcholine (ACH) administration in 104 consecutive patients with persistent angina despite successful PCI.34 Focal or diffuse epicardial coronary diameter reduction of >75 % in any epicardial coronary artery segment and/or reproduction of patient’s symptoms/ electrocardiogram (EKG) abnormalities (microvascular spasm) were considered positive. Abnormal coronary vasomotion in response to ACH was found in 66 % of study participants, with 73 % of them displaying enhanced epicardial coronary vasomotion and 27 % displaying microvascular spasm. In line with considerations, the latest major international guidelines recognise that factors such as microvascular dysfunction and vasospasm can all induce myocardial ischaemia. However, according to the same guidelines, these factors are to be investigated only when obstructive CAD is excluded, as if epicardial stenosis conferred immunity versus the other mechanisms. In fact, the lack of benefit of PCI continues to be related to the inaccurate assessment of epicardial coronary obstructions.43 As such, imaging modalities that assess epicardial coronary plaques have gained increasing relevance. Fractional flow reserve (FFR) is the most popular modality used to assess the physiological effects of epicardial plaques. The Fractional Flow Reserve Versus Angiography for Multivessel Evaluation-2 (FAME-2) trial reported on the efficacy of FFR-guided PCI versus medical therapy in stable coronary disease.44 Patients with a coronary stenosis that produced a significant drop in pressure (FFR of 0.80 or less) in a major coronary artery were included in the study. Similar to the Clinical Outcomes Utilizing Revascularization and Aggressive Drug Evaluation (COURAGE) trial,14 the rate of revascularisation was the only outcome that significantly differed between treatment groups. In a registry-based study involving more than 7,000 patients referred for coronary angiography, those undergoing FFR measurements tended to have lower rates of death/MI (hazard ratio [HR]: 0.85, 95 % confidential interval [CI] [0.71–1.01]; p<0.060). However, among those patients undergoing FFR, the rate of MI was lower in those whom PCI was deferred. In particular, deferral of PCI guided by FFR was associated with a reduced rate of MI (HR: 0.46, 95 % CI [0.26–0.82]; P<0.008). Intravascular ultrasound (IVUS) and optical coherence tomography (OCT) are two other imaging techniques that have been used to guide and optimise PCI. These modalities provide complementary tomographic imaging of the vessel wall and allow for quantification of atheroma burden and assessment of arterial remodelling. However, by improving anatomic assessment, such modalities have further evidenced the lack of a direct relationship between stenosis severity and myocardial perfusion.45–47 Indeed, hybrid imaging physiological studies have reinforced the concept that stenosis severity does not reliably predict the effects on myocardial blood flow48–51 and that factors other than stenosis severity are better predictors of adverse events.52,53 Indeed, in contrast with the linear model originally proposed by Gould et al.,54 when tested in the clinical settings, the relationship between stenosis severity and the impact on coronary myocardial blood flow is characterised by large scatter.45,46 Actually, while many patients with angina do not display obstructive CAD, stable coronary plaques may also be completely clinically silent.18,42,55 In a large registry study of 15,888 patients referred for coronary angiography between 1996 and 2010, the highest rate of obstructive CAD was distributed amongst patients with typical angina. However, obstructive CAD was also identified in 30–50 % of patients with no angina. Therefore, what is the reason to believe that all symptoms in those with typical angina were provoked by obstructive CAD.56 Similarly, it is conceivable that not all patients with epicardial obstructions will benefit from stenosis removal. Indeed, patients with post-PCI angina suffer myocardial ischaemia that is independent from stenosis removal. Despite evidence of an obstructive CAD, alternative mechanisms were responsible for myocardial ischaemia in this patient subset. While obstructive CAD did not prevent their occurrence, its removal enhanced their discovery. As mentioned, patients with persistent angina constitute a significant, although variable, patient population subset. Their recognition is further acknowledged by the conduction of studies that have aimed to determine the underlying mechanisms. However, at the current state of knowledge, we are not able to predict which patients will or will not benefit from revascularisation, thereby constituting the next big challenge. However, revascularisation is often pursued without attempting implementation and/or titration of adequate medical therapy. In a CathPCI Registry® study including 467,211 patients with stable CAD undergoing PCI, less than half were receiving GDMT before PCI and approximately two-thirds were receiving GDMT at discharge following PCI.58 Factors favouring an initial revascularisation strategy include referral bias, financial gain, poor understanding of pathophysiological mechanisms, individual physician belief of what might benefit the patient, and patient perception of the potential benefit of the procedure.59 PCI in stable angina does not prevent death or MI, does not make the asymptomatic patient feel better and has rare but potentially dangerous complications.6 However, most patients undergoing PCI believe that it will reduce the risk of MI and death, 60 and cardiologists continue to perform PCI in patients with minimal or no angina.61 Overrated use with improper selection of patients that may benefit from revascularisation may have contributed to the lack of full-scale beneficial effects of angioplasty. We believe that a more comprehensive utilisation of medical therapy would help understand and predict the effects that a treatment strategy incurs. Although revascularisation can improve ischaemic symptoms, its effects are not unconditional and currently predictable. These findings are in line with the multidimensional model for IHD, with obstructive CAD constituting only one among other determinants. Therefore, evidence of an obstructive coronary plaque should not be automatically considered as the cause of myocardial ischaemia, but rather considered with appropriate scepticism. The ultimate scope of this approach should not be regarded as an antagonistic view to PCI. On the contrary, a more comprehensive evaluation of patients with IHD would permit a better selection of those in whom a revascularisation strategy is the definite solution, this way better evidencing its benefits. Boden WE, O’Rourke RA, Teo KK, et al. Optimal medical therapy with or without PCI for stable coronary disease. N Engl J Med 2007;356:1503–16. Hueb W, Soares PR, Gersh BJ, et al. The medicine, angioplasty, or surgery study (MASS-II): a randomized, controlled clinical trial of three therapeutic strategies for multivessel coronary artery disease: one-year results. J Am Coll Cardiol 2004;43:1743–51. Henderson RA, Pocock SJ, Clayton TC, et al. Seven-year outcome in the RITA-2 trial: coronary angioplasty versus medical therapy. J Am Coll Cardiol 2003;42:1161–70. Pijls NH, Fearon WF, Tonino PA, et al. Fractional Flow Reserve Versus Angiography for Guiding Percutaneous Coronary Intervention in Patients With Multivessel Coronary Artery Disease 2-Year Follow-Up of the FAME (Fractional Flow Reserve Versus Angiography for Multivessel Evaluation) Study. J Am Coll Cardiol 2010;56:177–84. Sedlis SP, Hartigan PM, Teo KK, et al. Effect of PCI on LongTerm Survival in Patients with Stable Ischemic Heart Disease. N Engl J Med 2015;373:1937–46. Stergiopoulos K, Boden WE, Hartigan P, et al. 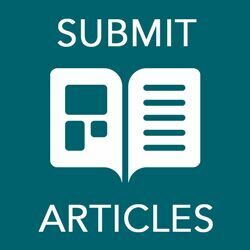 Percutaneous coronary intervention outcomes in patients with stable obstructive coronary artery disease and myocardial ischemia: a collaborative meta-analysis of contemporary randomized clinical trials. JAMA Intern Med 2014;174:232–40. Task Force M, Montalescot G, Sechtem U, et al. 2013 ESC guidelines on the management of stable coronary artery disease: the Task Force on the management of stable coronary artery disease of the European Society of Cardiology. Eur Heart J 2013;34:2949–3003. Fihn SD, Blankenship JC, Alexander KP, et al. 2014 ACC/ AHA/AATS/PCNA/SCAI/STS focused update of the guideline for the diagnosis and management of patients with stable ischemic heart disease: a report of the American College of Cardiology/American Heart Association Task Force on Practice Guidelines, and the American Association for Thoracic Surgery, Preventive Cardiovascular Nurses Association, Society for Cardiovascular Angiography and Interventions, and Society of Thoracic Surgeons. Circulation 2014;130:1749–67. Alexander KP, Cowper PA, Kempf JA, et al. Profile of chronic and recurrent angina pectoris in a referral population. Am J Cardiol 2008;102:1301–6. Deligonul U, Vandormael MG, Shah Y, et al. Prognostic value of early exercise stress testing after successful coronary angioplasty: importance of the degree of revascularization. Am Heart J 1989;117:509–14. Adamu U, Knollmann D, Alrawashdeh W, et al. Results of interventional treatment of stress positive coronary artery disease. Am J Cardiol 2010;105:1535–9. Five-year clinical and functional outcome comparing bypass surgery and angioplasty in patients with multivessel coronary disease. A multicenter randomized trial. Writing Group for the Bypass Angioplasty Revascularization Investigation (BARI) Investigators. JAMA 1997;277:715–21. Mentz RJ, Fiuzat M, Shaw LK, et al. Comparison of Clinical characteristics and long-term outcomes of patients with ischemic cardiomyopathy with versus without angina pectoris (from the Duke Databank for Cardiovascular Disease). Am J Cardiol 2012;109:1272–7. Li Y, Yang D, Lu L, et al. Thermodilutional Confirmation of Coronary Microvascular Dysfunction in Patients With Recurrent Angina After Successful Percutaneous Coronary Intervention. Can J Cardiol 2015;31 :989–97. Huqi A, Morrone D, Guarini G, et al. Stress Testing After Complete and Successful Coronary Revascularization. Can J Cardiol 2016;32:986.e23–9. Jespersen L, Hvelplund A, Abildstrom SZ, et al. Stable angina pectoris with no obstructive coronary artery disease is associated with increased risks of major adverse cardiovascular events. Eur Heart J 2012;33:734–44. Mentz RJ, Broderick S, Shaw LK, et al. Persistent angina pectoris in ischaemic cardiomyopathy: increased rehospitalization and major adverse cardiac events. Eur J Heart Fail 2014;16:854–60. Kini AS, Lee P, Mitre CA, et al. Postprocedure chest pain after coronary stenting: implications on clinical restenosis. J Am Coll Cardiol 2003;41 :33–8. Lemos PA, Hoye A, Serruys PW. Recurrent angina after revascularization: an emerging problem for the clinician. Coron Artery Dis 2004;15 Suppl 1 :S11–5. Izzo P, Macchi A, De Gennaro L, et al. Recurrent angina after coronary angioplasty: mechanisms, diagnostic and therapeutic options. Eur Heart J Acute Cardiovasc Care 2012;1 :158–69. Bonaa KH, Mannsverk J, Wiseth R, et al. Drug-Eluting or Bare-Metal Stents for Coronary Artery Disease. N Engl J Med 2016;375:1242–52. Stone GW, Moses JW, Ellis SG, et al. Safety and efficacy of sirolimus- and paclitaxel-eluting coronary stents. N Engl J Med 2007;356:998–1008. Holubkov R, Laskey WK, Haviland A, et al. Angina 1 year after percutaneous coronary intervention: a report from the NHLBI Dynamic Registry. Am Heart J 2002;144:826–33. Joshi NV, Vesey AT, Williams MC, et al. 18F-fluoride positron emission tomography for identification of ruptured and high-risk coronary atherosclerotic plaques: a prospective clinical trial. Lancet 2014;383:705–13. Beller GA. President’s page: geographic variations in delivery of cardiovascular care: an issue of great importance to cardiovascular specialists. J Am Coll Cardiol 2000;36:652–5. Newman L. New Dartmouth Atlas: improving US cardiac care? Lancet 2000;356:660. Hendel RC, Berman DS, Di Carli MF, et al. ACCF/ASNC/ACR/ AHA/ASE/SCCT/SCMR/SNM 2009 appropriate use criteria for cardiac radionuclide imaging: a report of the American College of Cardiology Foundation Appropriate Use Criteria Task Force, the American Society of Nuclear Cardiology, the American College of Radiology, the American Heart Association, the American Society of Echocardiography, the Society of Cardiovascular Computed Tomography, the Society for Cardiovascular Magnetic Resonance, and the Society of Nuclear Medicine. Circulation 2009;119:e561–87. Hendel RC, Patel MR, Kramer CM, et al. ACCF/ACR/SCCT/ SCMR/ASNC/NASCI/SCAI/SIR 2006 appropriateness criteria for cardiac computed tomography and cardiac magnetic resonance imaging: a report of the American College of Cardiology Foundation Quality Strategic Directions Committee Appropriateness Criteria Working Group, American College of Radiology, Society of Cardiovascular Computed Tomography, Society for Cardiovascular Magnetic Resonance, American Society of Nuclear Cardiology, North American Society for Cardiac Imaging, Society for Cardiovascular Angiography and Interventions, and Society of Interventional Radiology. J Am Coll Cardiol 2006;48:1475–97. Douglas PS, Khandheria B, Stainback RF, et al. ACCF/ASE/ ACEP/ASNC/SCAI/SCCT/SCMR 2007 appropriateness criteria for transthoracic and transesophageal echocardiography: a report of the American College of Cardiology Foundation Quality Strategic Directions Committee Appropriateness Criteria Working Group, American Society of Echocardiography, American College of Emergency Physicians, American Society of Nuclear Cardiology, Society for Cardiovascular Angiography and Interventions, Society of Cardiovascular Computed Tomography, and the Society for Cardiovascular Magnetic Resonance endorsed by the American College of Chest Physicians and the Society of Critical Care Medicine. J Am Coll Cardiol 2007;50:187–204. Mancini GB, Gosselin G, Chow B, et al. Canadian Cardiovascular Society guidelines for the diagnosis and management of stable ischemic heart disease. Can J Cardiol 2014;30:837–49. Ong P, Athanasiadis A, Perne A, et al. Coronary vasomotor abnormalities in patients with stable angina after successful stent implantation but without in-stent restenosis. Clin Res Cardiol 2014;103:11–9. Niccoli G, Scalone G, Lerman A, Crea F. Coronary microvascular obstruction in acute myocardial infarction. Eur Heart J 2016;37:1024–33. Anderson TJ. Chest Pain After Percutaneous Coronary Intervention: More Than Meets the Eye. Can J Cardiol 2015;31 :960–2. Piek JJ, Boersma E, Voskuil M, et al. The immediate and longterm effect of optimal balloon angioplasty on the absolute coronary blood flow velocity reserve. A subanalysis of the DEBATE study. Doppler Endpoints Balloon Angioplasty Trial Europe. Eur Heart J 2001;22:1725–32. van Liebergen RA, Piek JJ, Koch KT, et al. Immediate and long-term effect of balloon angioplasty or stent implantation on the absolute and relative coronary blood flow velocity reserve. Circulation 1998;98:2133–40. el-Tamimi H, Davies GJ, Sritara P, et al. Inappropriate constriction of small coronary vessels as a possible cause of a positive exercise test early after successful coronary angioplasty. Circulation 1991;84:2307–12. Hofma SH, van der Giessen WJ, van Dalen BM, et al. Indication of long-term endothelial dysfunction after sirolimus-eluting stent implantation. Eur Heart J 2006;27: 166–70. Marzilli M, Merz CN, Boden WE, et al. Obstructive coronary atherosclerosis and ischemic heart disease: an elusive link! J Am Coll Cardiol 2012;60:951–6. Tonino PA, Fearon WF, De Bruyne B, et al. Angiographic versus functional severity of coronary artery stenoses in the FAME study fractional flow reserve versus angiography in multivessel evaluation. J Am Coll Cardiol 2010;55:2816–21. De Bruyne B, Pijls NH, Kalesan B, et al. Fractional Flow Reserve-Guided PCI versus Medical Therapy in Stable Coronary Disease. N Engl J Med 2012;367:991–1001. Uren NG, Melin JA, De Bruyne B, et al. Relation between myocardial blood flow and the severity of coronary-artery stenosis. N Engl J Med 1994;330:1782–8. Uren NG, Marraccini P, Gistri R, et al. Altered coronary vasodilator reserve and metabolism in myocardium subtended by normal arteries in patients with coronary artery disease. J Am Coll Cardiol 1993;22:650–8. Ahmadi A, Stone GW, Leipsic J, et al. Association of Coronary Stenosis and Plaque Morphology With Fractional Flow Reserve and Outcomes. JAMA Cardiol 2016;1 :350–7. Waksman R, Legutko J, Singh J, et al. FIRST: Fractional Flow Reserve and Intravascular Ultrasound Relationship Study. J Am Coll Cardiol 2013;61 :917–23. Koo BK, Erglis A, Doh JH, et al. Diagnosis of ischemiacausing coronary stenoses by noninvasive fractional flow reserve computed from coronary computed tomographic angiograms. 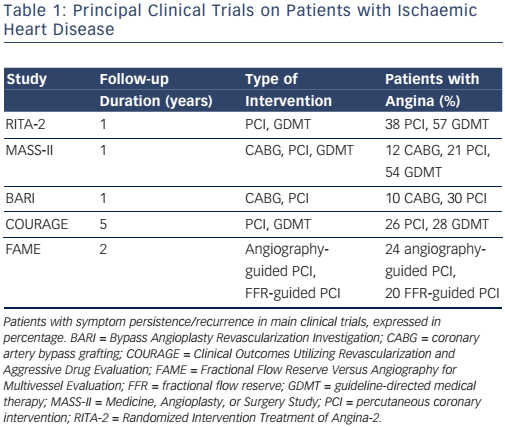 Results from the prospective multicenter DISCOVER-FLOW (Diagnosis of Ischemia-Causing Stenoses Obtained Via Noninvasive Fractional Flow Reserve) study. J Am Coll Cardiol 2011;58:1989–97. Gould KL, Lipscomb K, Hamilton GW. Physiologic basis for assessing critical coronary stenosis. Instantaneous flow response and regional distribution during coronary hyperemia as measures of coronary flow reserve. Am J Cardiol 1974;33:87–94. Vavalle JP, Shen L, Broderick S, et al. Effect of the Presence and Type of Angina on Cardiovascular Events in Patients Without Known Coronary Artery Disease Referred for Elective Coronary Angiography. JAMA Cardiol 2016;1 :232–4. Fox K, Garcia MA, Ardissino D, et al. Guidelines on the management of stable angina pectoris: executive summary: The Task Force on the Management of Stable Angina Pectoris of the European Society of Cardiology. Eur Heart J 2006;27:1341–81. Borden WB, Redberg RF, Mushlin AI, et al. Patterns and intensity of medical therapy in patients undergoing percutaneous coronary intervention. JAMA 2011;305:1882–9. Brown DL, Redberg RF. Continuing Use of Prophylactic Percutaneous Coronary Intervention in Patients With Stable Coronary Artery Disease Despite Evidence of No Benefit: Deja Vu All Over Again. JAMA Intern Med 2016;176:597–8. Rothberg MB, Sivalingam SK, Ashraf J, et al. Patients’ and cardiologists’ perceptions of the benefits of percutaneous coronary intervention for stable coronary disease. Ann Intern Med 2010;153:307–13. Layland J, Judkins C, Palmer S, et al. The resting status of the coronary microcirculation is a predictor of microcirculatory function following elective PCI for stable angina. Int J Cardiol 2013;169:121–5.